Justin Duchscherer agrees to 1-year big league deal with #Orioles, pending physical. He could make up to $4.5M in salary & incentives. The Orioles with only about two weeks before Spring Traning are still looking for another starter, and have offered former Oakland pitcher Justin Duchscherer a contract. It looks like other teams have interest in him as well, but the Baltimore Sun notes it’s down to two finalists – one which includes the Orioles and the other involves a team down Route 295. The O's have made an offer to free agent Justin Duchscherer -- believed to be Major League contract -- according to a FoxSports.com tweet on Sunday. The report, which cited an unnamed source, also said that the Orioles lead the race for Duchscherer, who told MLB.com last week that there have been multiple teams who have shown interest. In a text message Sunday afternoon, Duchscherer said he was unsure if he would throw again on Tuesday for the Orioles -- or any other team -- but added that a decision was likely this week. "[I'm] very close with several teams," Duchscherer said. Per team policy, the Orioles have not commented on the report or on any ongoing player negotiations. On Saturday, president of baseball operations Andy MacPhail was asked about Duchscherer, who is coming off hip surgery, and acknowledged that the team watched his bullpen session on Friday in Arizona. If healthy, Duchscherer is definitely a worth-while gamble for the Orioles. While he's got a spotty injury record the past couple of seasons, Duchscherer could help to anchor a young rotation after Jeremy Guthrie and the upstart Brian Matusz. Once you look at the other names left off on the market, he isn't such a bad option. When Duchscherer was healthy, he was very good. Yesterday the Orioles held their annual Fanfest at the Baltimore Convention Center and it was a good time. First of, the place was packed. When My friend Josh and I arrived a little before 10 AM, to attend the "State of the Orioles" forum for season ticket hoders the line stretched around the convention center's west building. The most official number from the Baltimore Sun had about 10,000 fans pack the center, and it definitely felt packed in the morning. Heard this:O's settled with their position in the Vlad talks.O's want him at their price(package $4.5-5 m.).If not, they'll live with it. I think the Orioles get this deal done, they don't need to get the deal done and we can argue what the direct impact of the deal will be on the team but I can't argue with the concept nor the suspected monies involved. As always there is a question about Sabermetrics. Now if you don't know what Sabermetrics are, what are you doing here? Seriously though, Sabermetrics (or SABR) is basically a new field of advanced statistical analysis for baseball. And every year at Fanfest someone asks the manager how does SABR play into your decisions? Now, I am not knocking the SABR crowd here but everytime I hear that question get asked to a big league manager, especially if they start throwing out the acronyms, I get this image of Shatner at a Trek convention being asked about this minute detail or flaw in one episode of a show he did 30 years ago. He answers the question politely and to the best of his ability but deep down inside he is thinking: "nerrrrrrrrrrrrrrrrrd". Buck responded well stating that "I want the stat to back up my gut, not my gut made by stats." Buck doesn't strike me as a SABR guy, and if it works for him so be it. Let's hope it continues to work for us. After the opening forum my friends and I milled about the crowd, we decided to forgo the autograph sessions this year; not because of some misplaced frustration over the new policy (I am all about giving money to charity) I just didn't really feel like waiting around for signatures this year. The Baltimore Orioles 2011 FanFest is in the books. I'll have my thoughts later on, and so will James; however, I am going to let the pictures from this year's event tell the story. Despite the snow on the ground and the cold, it was so nice to see baseball back in the region -- if only for short time. It's been a long day, but fun as always to see this event take place in the dead of winter -- especially a miserable one so far. This year, I pretty much caught all the forums, walked around and met up with old friends, acquaintances and chatted with some media members along with team officials. For the most part, it was a chance for me to hang out, sight see and listen to opinions about baseball in Baltimore. Spring Training opens up in a little more than two weeks, and it seems everyone at FanFest is looking forward to what the upcoming season brings. Optimism was the keyword this Saturday, and although the last thirteen season have resulted in losing, most believe that better days are ahead for the organization. The Orioles have done a lot over the last few years to try and re-acquaint themselves with the immediate city-community. They put Baltimore back on the road-jerseys, the Orioles Reach Program has been a very visible and effective force in the area and despite a bump in single-game ticket prices the team has really gone out of its way to keep prices affordable. Well now I am calling on the Birds and their new concessionaire to do one more thing - Bring back National Bohemian! For those who are not from the immediate Baltimore area let me educate you for a second. National Beer was a local Baltimore brewing company that was owned for a time by then-Baltimore Orioles owner Jerry Hoffberger. Hoffberger, of course, served his beer in old Memorial Stadium Boh, and Mr. Boh, sort of became unofficial mascots of the city and the team. Boh was produced in Baltimore for decades until National was sold to a Canadian brewing company Carling in the 1973. Carling shut down prduction at the O'Donnell street brewery (which today is office-space and condos called Natty Boh towers in the aptly named Brewer's Hill neighborhood of Baltimore) and moved production to the suburb of Halethorpe. Carling was bought out by Heileman brewing Company. 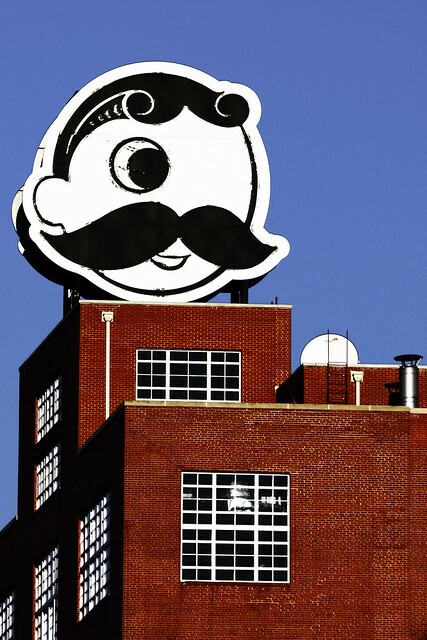 The Boh name and recipes would change hands multiple times but in 2000, under the Stroh brewers banner, the Halethorpe brewery was shut down and Boh was no longer brewed in Maryland. With a little more than two weeks before Spring Training, not much else has been happening with the Orioles – yet. MASN’s Roch Kubatko reports that the Orioles have indeed made an offer to Vladmir Guerrero, as does Ken Rosenthal. At this point, there looks like there are few suitors for a mid-30’s slugger who really can’t play in the field anymore. We’ll wait and see. Who knows, we all might have another FanFest announcement (or maybe not). In addition, the Orioles may also be looking at Justin Duchscherer. The Orioles wanted to let fans know of some additions to Fan Fest this Saturday. Jim Palmer and Brandon Erbe have been added to autograph sessions for FanFest. Palmer has been added to Station #3 at 3:20 and Erbe has been added to Station #1 at 4:40. Fans should visit www.orioles.com/fanfest for an updated list of autograph session availability. Well, despite some griping from fans online about the new autograph policy at FanFest, 10 out of the 15 available sessions have sold out so far. It looks like the Orioles and Vladmir Guerrero have had discussions; however, nothing is eminent as of yet. Who knows what will happen now, but with Guerrero - to my surprise and to a lot of people - having seemingly few options left for a team strictly needing a designated hitter, again, I'd be really intrigued to see him in Baltimore and what he could do in that lineup. Other than waiting on Vladmir Guerrero’s decision on a new baseball home, not much has been going in Birdland on the business front. With about three weeks remaining before pitchers and catchers show up to camp for their first workout in Sarasota for Spring Training, I’m sure fans are waiting to see if the team makes more moves – or not. The team may need another starting pitcher and some bullpen depth. At this point, all the names left on the market in terms of starting pitching are either retreads, or past their prime. We’ll see what happens. The big story with the Orioles on Monday was that pitching prospect Troy Patton was arrested in Houston on suspicion of a DWI over the weekend down in Houston, Texas. The Rays and Jays have made some interesting moves this past week. The Jays sent Vernon Wells and his albatross contract to the Angels for Mike Napoli and Juan Rivera meanwhile the Tampa Bay Rays signed both Johnny Damon and Manny Ramirez to one-year deals. Both of these deals impact the Orioles in the positive and negative but they also speak to the coming question marks within the AL East. First, the Wells deal. Vernon Wells was given a gigantic deal after the 2007 season and he has largely not lived up to the dollars associated with it. The contract was so bad that most people felt Wells was untradeable. Then last year Wells arguably had his best year since signing the deal hitting 31 homers and SLG at a .515 rate he was fairly instrumental in the Jays' powerful, if one-dimensional, offense. Then the Jays shocked everyone by trading Wells to the LA Angels for two mediocre role-players. The most important factor however was the Angels are paying the ENTIRE salary. Simply amazing. The Jays are going to be a weaker team in 2011, there is little doubt in my mind about that. Wells, Marcum and Gregg are gone as is Overbey at first. The Jays will have some highly-touted rookies like Kyle, I still want to call him Doug, Drabek but the learning curve in the AL East can be brutal. I get the feeling that the 2011 Jays will look more like the 2010 team everyone thought was going to show up. You really have to credit Jays GM Alex Antholpoulos, it would have been very easy to look at last year as something other than a fluke and try to repeat it, but obviously Anthopoulos saw it for what it was and has not let it sway him from a more long-term plan. By trading Wells Anthopoulos has freed up gobs of money for the team going forward and with big FA names like Prince Fielder and (dare I even say it?) Albert Pujols likely hitting the market next year the Jays could make some serious noise in the market in the near future. 2011 may be a down year for the Jays, but they will have a lot of money to play with combined with some young talent that should be coming into its own; They could be a force going forward. The Tampa Bay Rays surprised the MLB-world when they announced the signing of both Damon and Ramirez last week. The aging former Red Sox have seen a lot of their past glory fade though at least Damon still showed the ability to be productive in the right role with the Tigers last year. Manny on the other hand saw his star come crashing down in Los Angeles and Chicago amid poor performance and a positive PED test. This move has me scratching my head in a big way, because it just seems so poor. It doesn't seem like the Rays of the last couple of years it feels like vintage DEVIL Rays trolling the scrap heap for Jose Canseco, Wade Boggs and Fred McGriff. The Rays became a force by trusting their youth and their coaching staff to build the best from within and this feels like a rather sharp deviation from those principles. It just smells of panic. The Rays have had one of the best young teams in baseball each of the last few years. They proved that a small market team can win in the AL East, but the reality of their situation came crashing down upon them this offseason as the mass exodus of high-priced players left their squad decimated and searching to fill holes. Now, everyone assumed that the Rays would rely on their highly regarded farm system and call up the next crop of young players but this move signals that the management of the Rays must not be too awful confident in some of these players. Another puzzling thing is the move itself. I can understand one of Damon or Ramirez, but both? Neither are that great in the field anymore and neither really provide the same power in the DH role that the Rays will be looking for. Add on the clubhouse problems that seem to follow Manny wherever he goes; can you honestly see Joe Maddon putting up with Manny's antics for long? Combined Carlos Pena and Carl Crawford hit 47 homeruns, last year Damon and Ramirez combined for 17. So again I ask why? And the only answer I can come up with is attendance. DO the Rays think that there are enough people in the greater St. Petersburg area who will come out and see former Red Sox and Yankee greats? Are Ramirez and Damon little more than ploys to hold interest during a rebuilding year? The Rays' attendance struggles have been talked about widely and I get the feeling that the powers-that-be in Tampa saw the chance of a mediocre 2011 and panicked plain and simple. Will Vlad Be An Oriole or Not? Well, are the O’s after Vladmir Guerrero or not? As fans, we’ve been hearing different things as Jim Bowden from of the MLB Network/Fox Sports reported he was close to a deal, as well from ESPN Deportes. On the other hand, most of the local press including the Sun’s Dan Connolly, Jeff Zrebeic and MASN’s Roch Kubatko say that there’s no deal on the horizon – at least, not yet – with the slugger. For the most part, Andy MacPhail never really reveals his cards, so who really knows what is true or not. Of course, with the Tampa Bay Rays adding veterans Johnny Damon and the mercurial Manny Ramirez, plus the Angels trading for Vernon Wells, the speculation over Guerrero’s potential landing spot has grown. As a fan, I’d really like Guerrero on the Orioles. I do think he could still hit a ton and he’d be a fearsome force in Baltimore’s lineup and even add more pop, plus protection to a lineup already improved from the 2010 season. There’s been a lot of talk of this online, but if you have not read it … the Orioles are raising the price of single-game tickets in 2011 . Most people are not happy about the changes, obviously. As we all know too well, the Orioles have not had a season over .500 since 1997. For the first time since after the 2006 season, the Orioles are raising single game ticket prices at Camden Yards. All tickets -- except for the cheapest, left-field, upper reserve seats which will remain at $8 and $9 -- will increase in cost for 2011, ranging from $1 to $7 extra depending on the game desired and when the tickets are purchased. Greg Bader, the club’s director of communications, said non-prime, advance tickets will increase on average $3, which would make the average price for those tickets roughly $28. The average season-ticket price remains at about $23, below the 2010 Major League Baseball average of $27, according to Bader. In reality, Oriole ticket prices are fairly low to begin with in comparison to most teams in the league. However, much like last year with the ‘day-of-game’ pricing, I don’t think fans should be subjected to pay more for a product that has sadly been inferior for many years. That is, until significant progress has been made in the win column. Honestly, I don’t know if the new ticket pricing structure was enacted to make up for potential loss of revenue with the reduction of the seating capacity of Camden Yards or whatever. I work in Baltimore a few days a week for one of my customers, and the security guard and I were chatting the day before the big Ravens-Steelers game. I grew up a Redskins fan – I know, cue up the jokes – but attend a Ravens game or two each season and enjoy the environment at M&T Bank Stadium far more than I do at awful Fed Ex Field. Anyhow, we both figured the game was going to be a close one as it always is. The Ravens had a good 14-point lead at the half, and then the Steelers – as they always do – found a way to win late. Of course, the black-and-gold in Hollywood-script like fashion rallied and moved on in the playoffs only another win away from yet another Super Bowl; meanwhile, fans of the purple-and-black find themselves stabbed in the heart – again. The loss for Baltimore was inexcusable. As for the Orioles, not much else is going on. Today is Martin Luther King Day throughout the United States of America. Although the nation has made great strides since the turbulent 1960’s in terms of equality and civil rights, let’s not forget King’s struggle and the work that still has to be done. We live in some crazy times now, but let's try to incorporate the message that King forth. The biggest news to come out of the week so far with the Orioles is that Adam Jones avoided arbitration. On Sunday, the two sides agreed to one-year, $3.25 million pact according to the Baltimore Sun. Jones got a nice raise heading into his fourth full season; however, in my opinion, he’s not even scratched the surface of his talent yet. The center fielder has developed quite a bit since he first debuted as an Oriole, and at 25, he looks to be a star in the making. Then again, he’s got quite a bit of stuff to work on. Although Jones hit a robust .284 with 19 homers and 69 RBIs on a mediocre team and was shuffled throughout the lineup quite bit in 2010, I feel quite underwhelmed by him so far. Jones still has a problem at times with plate discipline, be more selective on pitches he sees, base running and lapses in the field at times. Honestly, I think Jones should be utilizing his speed more on the bases and I’m not sure if it’s a matter of him not knowing what to do -- or some reluctance. I know a lot of us are still reeling from yesterday's utter collapse of a game. I still don't know how it happened, but it did. Ugh. On the bright side ladies and gents of the interwebs; Orioles Spring Training is just around the corner and for the first time in seemingly decades I think we genuinely have a lot to look forward to the summer in Baltimore. Oh there will be the usual canal of haters out there that will rail on the team's chances (still miniscule) and the fact that they didn't get a big bat like Beltre or a strong starter like Cliff Lee. But these are the people that complain about everything. These are the people that have on set track of beliefs that they will siply refuse to waiver from., Maybe they don't like Angelos (can't really blame them), maybe they don't like MacPhail, maybe they never recovered from the heartbreak of the Tex negotiations. Bottom line is these people should largely be ignored because they are clouded by their own agenda. Let's take a look at the Orioles offseason and their three major acquisitions. Reynolds is a power hitting third baseman with a solid glove but a hole in his bat the size of Challenger Deep. Reynolds has struck out 634 times in the last THREE SEASONS.. For comparisons sake Nick Markakis has struck out 404 times in that same period. That being stated, what makes Reynolds great is his power. While striking out 634 times in three seasons he has hit a total of 104 homeruns. He has also maintained a .330 OBP during those years as well. He hits homers, doesn't hit into double plays and strikes out a ton. I think Reynolds was a great pick up and we got him only having to trade away David Hernandez and an ineffective Kam Mickolio it was a great deal. Hardy comes to the Orioles from Minnesota after spending the first five years of his career in Milwaukee. Hardy made a name for himself in his 2007 and 2008 campaigns combining stellar defense with solid power and average. Injuries have sidelined Hardy the last couple of seasons. He has seen his power decline but he can still handle a bat and provide fantastic defense up the middle. The general theory is that if Hardy can stay healthy he should have a season that more closely resembles his 08 year than his 2010 year; if that were to happen the Orioles would have gotten another steal of a trade that sent a couple of minor league arms to the Twins. Hardy's issue, like Reynolds to a lesser extent, is injuries. He has missed significant time the last two years and has only played in more than 150 games once in his, still short, career. Given Hardy's injury history that Orioles opted to retain defensive-minded shortstop Caesar Izturis as Hardy's back-up. Hardy was brought in because of his bat which is a massive upgrade over Izturis'. Hardy's glove should be just as reliable as well. All in all, the Hardy move is a pretty good one. If JJ can rebound a bit this year the Orioles may have a mid-term answer at short who can contribute at a high level while the Orioles wait for Manny Machado in the minors. After a courtship that seemed to take way too long which basically boiled down to a four-way game of chicken between the O's, Nationals, Adam LaRoche and Lee; Lee finally signed with the Orioles taking a one-year $7.25 million salary. The negotiations for these players were long and, frankly, awkward. Anyone could see that neither Lee or LaRoche wanted to come to either the Nationals or Baltimore. For all intents and purposes the Orioles and Nats were the last girls left without dates to the prom - we have great personalities but you are more likely to go all the way with the skan---I mean Yankees, than you are with either of these bookish types. Hopefully now that Lee chose us the Orioles can take the proverbial pencil out of her hair, let it down and show Mr. Lee that this WAS a pretty attractive place to play. Lee should get his homers here, without a doubt, and power at first base is something the Orioles have missed a lot. However, as it is with the other two acquisitions, the question is health. Lee was hampered with a thumb injury for most of the first half of last season but came on strong in the second half posting a .298 BA and a very impressive .888 OPS with a .516 SLG percentage. By all accounts Lee feels his thumb injury is 100% healed and he is ready to go for the Birds. While the snow is still on the ground here, I’m starting to feel the itch of baseball again as pitchers and catchers report to camp in only 29 days. I’d like the Orioles sign another pitcher and maybe a bat; alas, the pickings are slim out there on the market. They have improved on paper, and I guess it’s better than the alternative. Last night, a buddy of mine and I were talking about the upcoming Orioles Fan Fest two weeks from now. While both of us want to see what the team personnel, players and media think of the 2011 season, one particular issue was really eating away at my friend – the new autograph policy. Here’s the Fan Fest page from the Orioles.com website. Well, I am all for this – to an extent. While I think there’s no deal when it comes to paying a small amount to get someone’s John Hancock on a piece of memorabilia – especially when it comes to charity; however, it sounds like for each line and session you have to pay $15. I understand raising money and crowd control, plus ensuring everyone who pays for an autograph gets one – but I think the policy change is a bit excessive. I know my friend, who’s a big autograph and collectible buff when it comes to anything baseball – especially the Orioles, isn’t happy. I’ve always wondered what influence Buck Showalter had on the Orioles this past season. 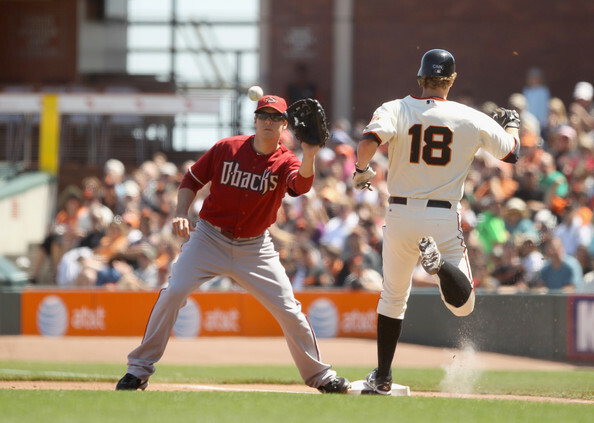 With Spring Training upon us within the next month or so, a lot of fans are looking to 2011 with increased optimism with how the team finished up last season. The more I think about it, he had a considerable aura over the Orioles over the past two months. 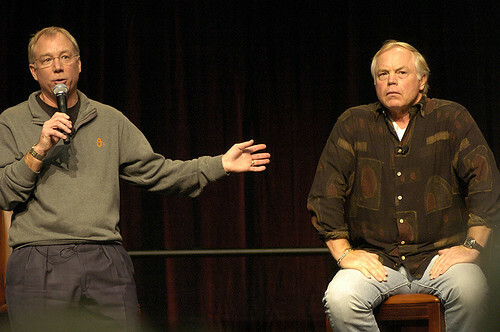 Think of it, the Orioles were a horrible team – close to being historically so, until Showalter showed up. Now, even though Showalter had pretty much the same talent that both the deposed Dave Trembley and Juan Samuel had, I think he shook up the players -- to an extent. Really, while his record with the Orioles was impressive, the team's impressive play could be attributed to some of the players performing well above their norms, a healthy roster - the return of Roberts, Uehara (very critical), Gonzalez - in addition, to the starting pitching performing much better halted a train wreck. Hope everyone is doing well out there this morning. In a little bit more than a month, pitchers and catchers report to camp for Spring Training. It looks like baseball will be back sooner than we know it, and I'm anxiously waiting to see what comes from the upcoming season with the Orioles aalong with the rest of baseball. Since the Lee signing became official, not much else has happened with the Orioles; however, reliever Kevin Gregg finally got his deal done. Gregg wants to close, but he will have to earn the job. Considering how well Koji Uehara did in the role last season, Gregg will have either accept a setup role or see if Uehara falters in 2011. In case you have not heard or read, former Oriole and Hall of Famer, Frank Robinson was hospitalized with a rapid heartbeat in Arizona at the 2011 Owner's Meetings. Yesterday, the Orioles announced that Fan Fest 2011 will be held at the Baltimore Convention Center on Saturday January 29th, from 11am to 6pm. Season ticket holders will be granted entry at 10am. That day, individual game tickets will go on sale. Tickets are $10 for adults and $5 for children 14 and under and those over 55. As well, there’s a new autograph policy that will be place for the event and it may be one that will upset some fans. Other than that, the setup was great last year and there was a huge crowd anxious for Orioles baseball. Yesterday, the National Baseball Hall ofFame gained two new members as Roberto Alomar and Bert Blyleven were voted in by Baseball Writers Association of America. Alomar was selected in his second year on the ballot with 90 percent of the vote; meanwhile, Bert Blyleven in his 14th with 79.7 percent of the vote. Induction was a long time coming for both, and it’s good to see them finally get their day in the sun this summer. It’s especially good to see Alomar, who was snubbed last year – perhaps mainly because of the infamous Hirschbeck incident – was recognized for his brilliance on the field and with his bat. His life has been rough the past several years because of some domestic issues, but he more than anyone on that list should have been a first ballot Hall of Famer. I remember Alomar vividly playing for the Blue Jays, Orioles and Indians in his prime – he was a heck of an athlete and always seemed to make the big play in the field and seemingly change the game at times. The Orioles got a player they targeted from the opening of the free agent market. Today, the team announced that they agreed to terms with reliever hander Kevin Gregg with a two-year, $10 million pact. It’s good to see the Orioles making incremental improvements to their squad. Yes, they are definitely looking a lot better than they have been in the past decade-plus. And we all know that the bullpen sorely needed to be upgraded, despite the improvements shown in the past two months of the season. Right now, Koji Uehara looks to be the closer; however, Gregg wants the opportunity. Plus, he seems to be one hell of a competitor. Well, wherever he ends up in the bullpen, it’s a definite plus. It took a while, but a deal was completed. Also, the story of Alfredo Simon and his alleged role in the shooting of two people – where one man has lost his life – is developing into a tragically sad story. A team official is expected to meet with Simon, and he is getting support with legal counsel from two former teammates – Miguel Tejada and Julio Lugo. There's some horrible news involving Alfredo Simon in the Dominican Republic over the New Year's Eve weekend. The Associated Press's Dionisio Soldavila reported this morning that the Oriole reliever is allegedly implicated in a double shooting -- where one man lost his life. From the AP: Baltimore Orioles reliever Alfredo Simon is the main suspect in the New Year's Eve killing of a man in the Dominican Republic, police said Sunday. The pitcher shot and killed 25-year-old Michel Castillo Almonte and wounded his 17-year-old brother during a New Year's Eve celebration in the northeast coastal town of Luperon, police said in a statement. No motive was disclosed. Simon is from the Dominican Republic, and police said he fled after the violence. Felipe Alou Jr., a Dominican representative for the Orioles, said he spoke with Simon on Saturday and the player insisted he was not involved in the New Year's Eve shootings. Simon could face up to 30 years in prison if found guilty. I'm sure there will be more updates as time goes along, Simon (when found) explains his side, and the legal process takes shape. It seems like aside from the initial report from Soldavilla, there's not much else known about this incident. The Orioles has not commented about this case or have issued a public statement. Happy New Year everyone, and hope your Saturday is going well wherever you are in the world. For the most part, it seems my partner James, the mainstream media, bloggers and fans are in approval for the Derrek Lee acquisition by the Orioles. It would be a big surprise if Lee was a complete flop. From what I have seen, the guy comes off as a complete professional and will not embarrass the organization on and off the field. In addition, Lee is only signed for one year; therefore, he will probably be hungry for perhaps another lengthy (or final) contract. He had a thumb injury last season which perhaps affected his at-the-plate and if he’s healthy, I’d expect him to serve the team well. 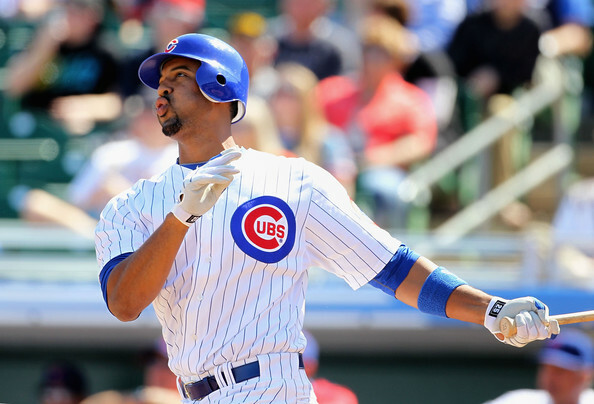 Certainly, Lee will not be like a former Cub – Sammy Sosa. I guess LaRoche’s demands came to be a bit much for the Orioles, and they moved on. We know what LaRoche brings, but I think Lee has a better bat and is certainly proficient with the glove. 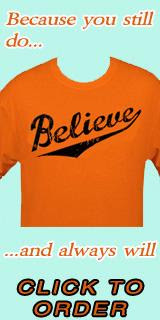 I just hope the Orioles can break out with a strong start to 2010 and keep everyone motivated. Other than that, while I think the Orioles are much improved from the team that were last season, they will certainly not contend. Stranger things have happened, but I don’t see the Orioles becoming an elite team despite the strong showing they have had so far under manager Buck Showalter. I do believe that the Orioles do need another starter, more bullpen help and a better bench.